Through our extensive experience across various sectors and team of highly qualified professionals, we offer seamless delivery pertinent to client geography and based on global industry best-practices. 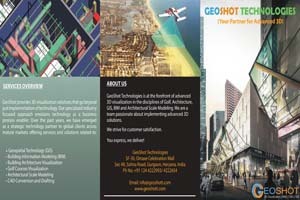 GeoShot Technologies is at the forefront of advanced 3D visualization in the disciplines of Golf, Architecture, GIS, BIM and Architectural Scale Modeling. We are a team passionate about implementing advanced 3D solutions.